A Bulgarian law firm specialising in the field of protection of intellectual property. Petya explores the grounds of allegations that international commercial arbitration has lost some of its intrinsic features of an alternative dispute resolution method and has turned into a mechanism for resolving disputes that is very similar in process and substance to national litigation. Petya questions whether the process of judicialization does exist at all, and if yes, what its scope is. She aims to establish whether the judicialization of international arbitration can be traced back to its sources of law, as well as to arbitration proceedings and arbitrators' decision-making. The findings will help determine whether and to what extent the judicialization of international commercial arbitration is entirely consistent with the benefits it provides or used to provide as an alternative dispute resolution method. Petya Ilieva is a recipient of the University Doctoral Studentship and provides research assistance to Professor Jason Chuah. In 2014 she was granted a STIP Foundation Scholarship for attending the 2014 Hague Academy on International Law (Private International Law Session) and the Bredit Prat Scholarship for attending the 2014 Paris Arbitration Academy. Petya achieved an LLM in International Commercial Law at the University of Leicester in 2013 with a dissertation on 'Passing of Risk and Passing of Property under the CISG and English Law' (supervisor: Dr Sean Thomas). During her time at Leicester, Petya was selected to participate and plead at the 19th Willem C. Vis International Commercial Arbitration Moot in Vienna. Since then she is arbitrating at the Willem C Vis and she is coaching the City Vis Moot. Petya also holds a Master degree in Law from Sofia University, Bulgaria. She successfully passed the Bar Exam in front of the Bulgarian Supreme Bar Council in 2010. Petya has gained valuable work experience as a trainee, legal assistant and legal adviser in several law firms and a consultancy practice between October 2005 and October 2011. 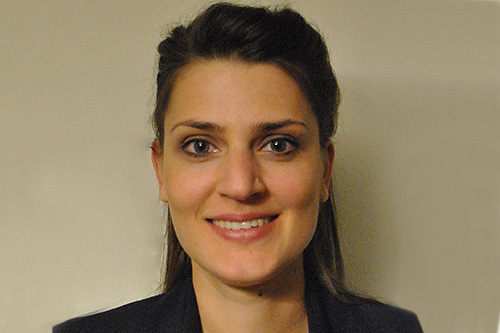 Currently Petya works as a legal assistant and holds a training contract offer with Freeths LLP. "Suitability of the United Nations Convention on Contracts for the International Sale of Goods (CIGS) for Adoption in English Law" (presented as a poster), 6th International Graduate Legal Research Conference, King's College, London, April 2012. Petya held a graduate teaching assistant (GTA) post in Criminal and Contract Law for 2013-2015 academic years. Petya is coaching the City team competing at the Willem C Vis Moot. In 2014 a member of the City team, David Green, was given an honourable mention for best oralist.